Hello lovely friends and followers! Today, I am afraid I have very little time for explanations, details and other 'chit chat' . . . it has been absolutely hectic here this end! Nothing to worry about dear friends, just one of those chaotic days that is not about to get any less chaotic, so I'm just going to have to go for it! This card has been quickly put together this morning before the chaos began, it was made with the panel I stamped last night at the Wednesday craft group. It was a bit rushed, so it's not my best, but I thought I would show you anyway. Here it is. Hazel, this is just beautiful! The colors are so pretty and the little notch you cute out of the panel at the bottom is a lovely extra touch! Hope you get to catch your breath soon! 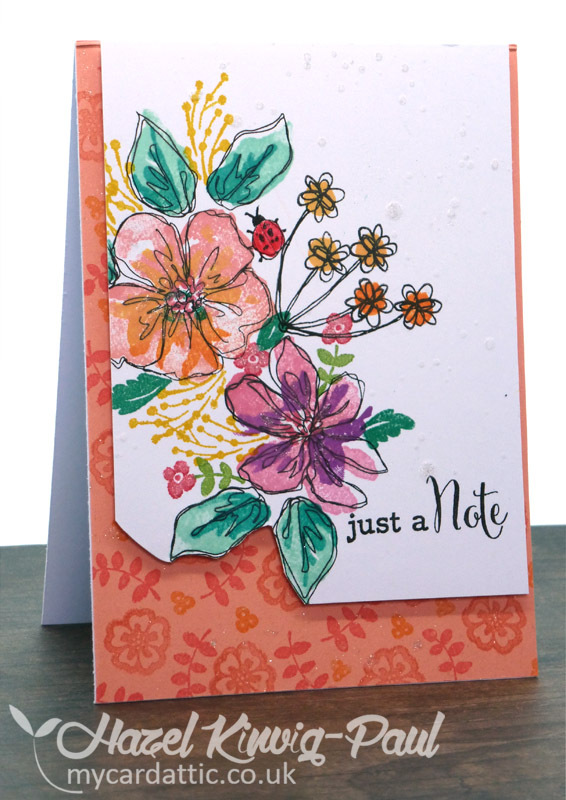 really pretty card Hazel - love how you did the cutaway - very effective - hope today and tomorrow and tomorrow get less hectic for you!! 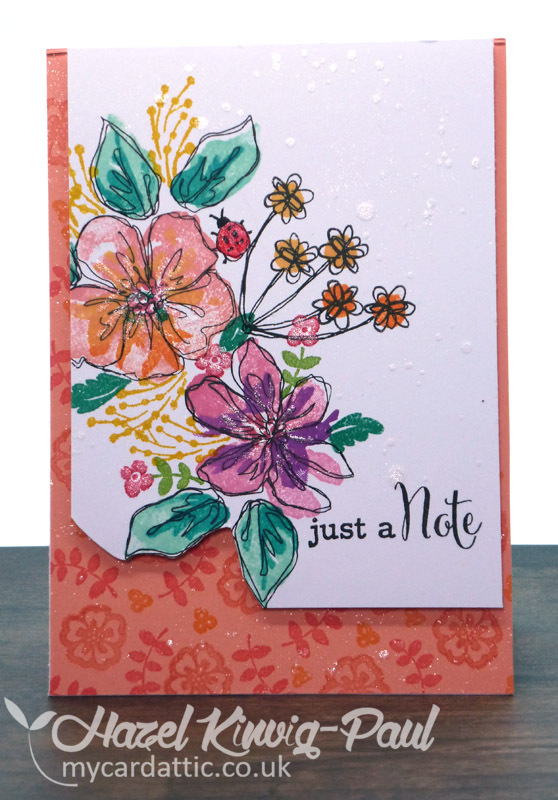 What fabulous background paper and pretty card design Hazel. Wow, if this is not your best, can't wait to see that one. It is absolutely gorgeous. thanks for showing. I sure hope things slow down a little for you. Your card is very pretty. Wished my "not-my-best" cards looked that good! Oh, my friend, hope things are more relaxed by now!!!!! I've been busy with sewing, that's why I haven't been around since the weekend!!!! Not one of your best cards????!!!! 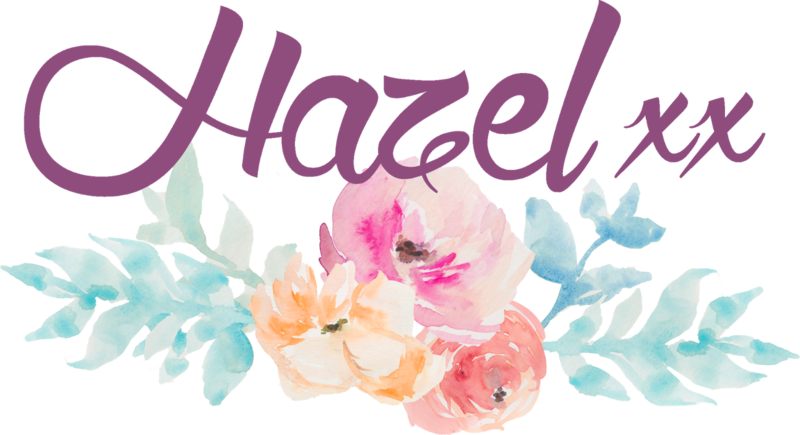 - I think it is fabulous, Hazel!!!!! Those flowers are so beautiful and I love the paper you have used on the card base!!!! The colours are lovely!!!! Beautifully done!!!! 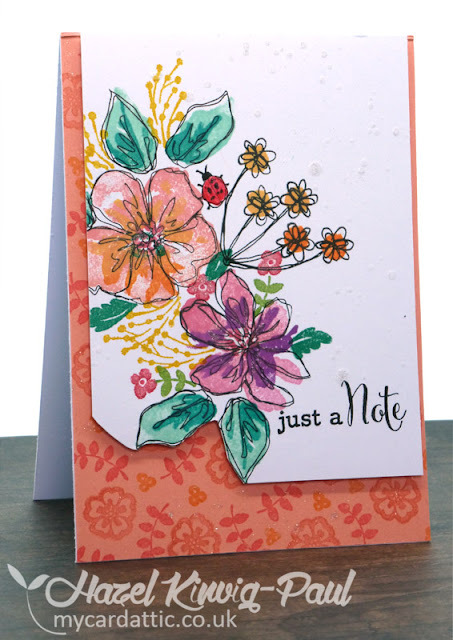 Love that little cutaway and the pretty flowers! Some days are chaotic! Glad you got a chance to share your project from last night!